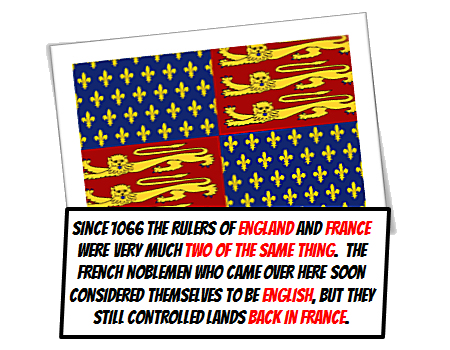 Since 1066 the rulers of England and France were very much two of the same thing. The French noblemen who came over here soon considered themselves to be English, but the still controlled lands back in France. 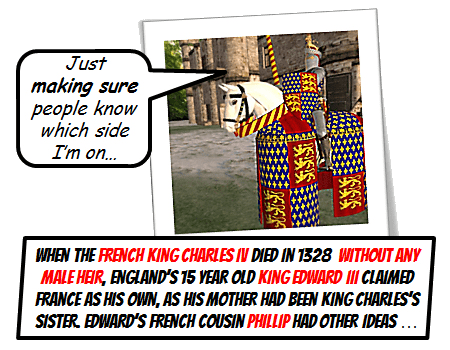 When the French King Charles IV died in 1328 without any male heir, England’s 15 year old King Edward III claimed France as his own, as King Charles’s sister was also Edward’s mother. Charles’s French cousin Phillip had other ideas… his is when the 100 Years War started. The 100 Years War was really a series of separate battles from 1337 to 1453. 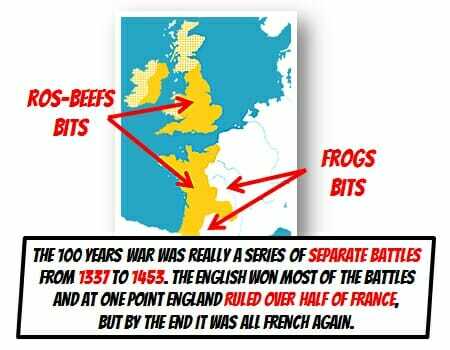 The English won most of the battles and at one point England ruled over half of France, but by the end it was all French again. 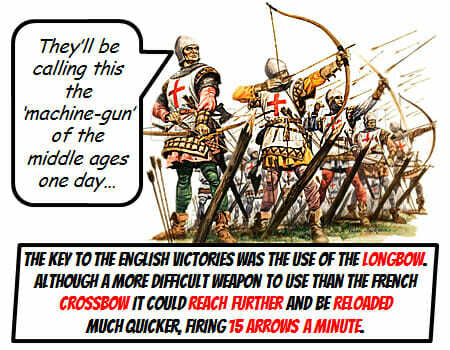 The key to the English victories was the use of the longbow. A more difficult weapon than the French crossbow it could reach further and be reloaded much quicker, firing 15 arrows a minute. 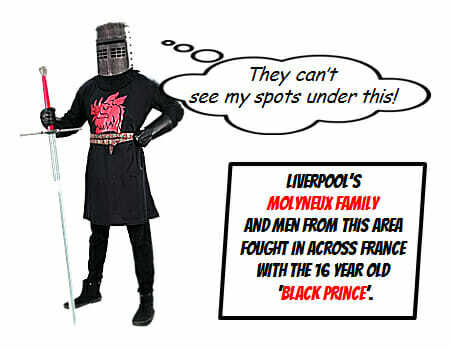 Liverpool’s Molyneux family and men from this area fought in across France with the 16 year old Black Prince. 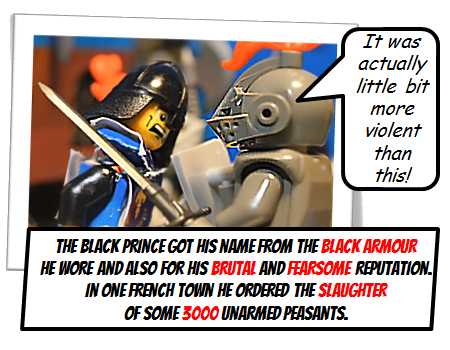 The Black Prince got his name from the black armour he wore and also for his brutal and fearsome reputation. In one French town he ordered the slaughter of 3000 peasants. 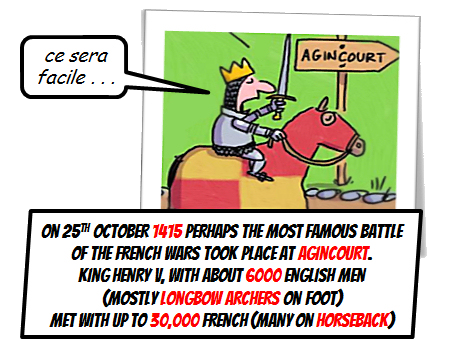 On 25th October 1415 perhaps the most famous battle of the French wars took place at Agincourt. Tired and hungry, Henry’s army had actually been heading back to England when the French army blocked their path. 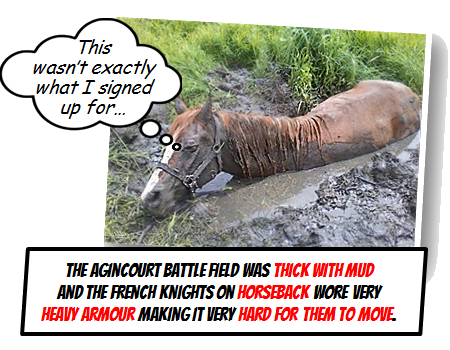 The Agincourt battle field was thick with mud and the French knights wore very heavy thick armour making it very hard for them to move. 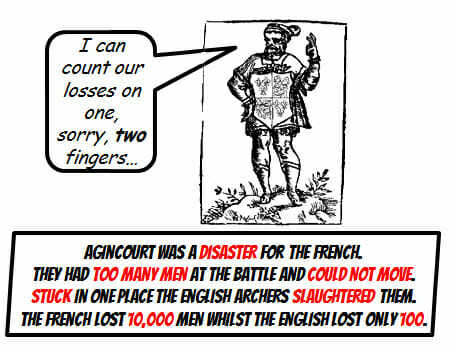 Agincourt was a disaster for the French, they had too many men at the battle and could not move. Stuck in one place the English archers slaughtered them. The English lost 100 men whilst the French lost 10,000. 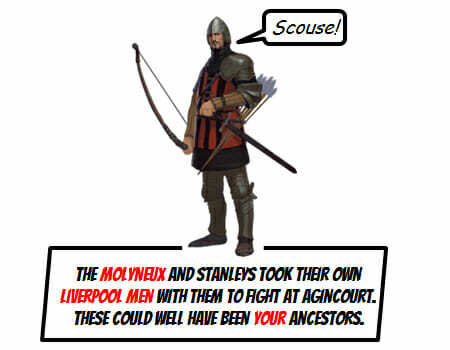 Rivals at home, Liverpool’s Molyneux and Stanley Families were both fighting at Agincourt. After the English victory both Richard Molyneux and John Stanley were knighted by King Henry V. Richard Moyneux was also given Croxteth and Toxteth Deer Parks. The Molyneux and Stanley’s took their own Liverpool men with them to fight at Agincourt. These could have been your ancestors. 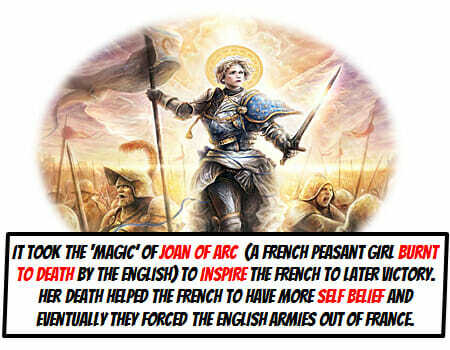 It took the ‘magic’ of Joan of Arc (a peasant girl burnt to death by the English) to inspire the French to later victory. Her death helped the French to have more belief in themselves, a national pride that eventually forced the English armies out of France.